Are you an entrepreneur building a business to change the world? Are you a stay-home mom taking care of your family, while wondering what’s next for you? Or are you a university student ready to launch your career? We may have different aspirations at each stage of our lives, but it’s common to see an invisible thread that silently flows through most parts of our lives: that nagging worry about money somewhere deep in the back of our minds. This silent money worry has no physical forms when life is cruising along. It is only when a major crisis hits that it manifests its destructiveness. The good news is that it can be tamed and alleviated. If you are an entrepreneur wanting to level-up your business and make sure that there’s plenty of surplus after paying the bills, one of the key things is to focus on profit rather than income. Many entrepreneurs struggle with the balance between the never-ending expenses and the unpredictable income. 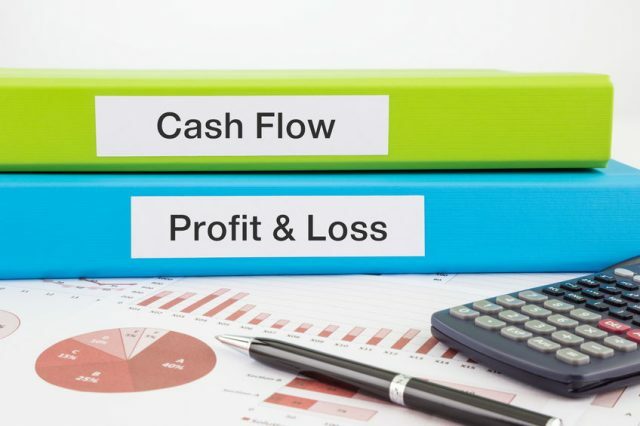 In order to effectively manage cash flow, which is the path to profitability, lead with your desired income, as opposed to taking in whatever comes to you. Set up metrics to measure your marketing activities against the desired income. This is a fundamental mindset shift from the common practice of implementing random marketing activities and hoping that the income will follow. Let the kids do some price comparison shopping with you. The next time you are in the marché with your kids, ask them to help you pick what to buy. Have a conversation with them about how to make choices between price, product, and personal preferences. After you get home, have the kids tally up all the receipts. It’s a great opportunity for some “fun” math for the kids, and if you normally don’t track your household expenses, this would be a convenient way to ease into a new habit. Stay involved in the family finances. It’s fine to have your spouse do the logistical management of the finances, but be fully engaged in all the decision making. Don’t be afraid, and take the time to ask questions. When you maintain financial awareness through these small games and mental exercises, you will naturally regain the confidence required to rebuild your financial independence when the time is right. Additionally, you will also have helped your kids establish some healthy money habits. If you are young and getting ready to launch into the professional world, or are already working, I’m really happy that you are taking the time to read this article. Make sure that the profession you choose based on your passion is also in alignment with your financial goals. This requires that you spend a little bit of time to get clarity on your financial needs and aspirations. Oftentimes, we see people jump into a profession they love, only to get burned out after a few years because the financial rewards just aren’t enough to make a comfortable living. If you find that your profession and the associated monetary rewards aren’t aligned to meet your financial expectations, get creative and see if there are peripheral services or products that you can offer based on your expertise. If you are in a profession where the pay is rewarding, be sure to create a mechanism for automatic savings each month. Time is on your side, so take advantage of that. The best way to kill the money-worry bug is to be proactive in designing your financial life, no matter which stage of life you are in. Imagine living a life in the City of Light with a sense of ease and confidence! With a multi-cultural background, Yulin learned early on that happiness isn't dependent on material things and true wealth comes from within. Since moving to California from China as a teenager, Yulin has embraced and lived her American dreams. She studied Computer Science and earned an MBA while working in the hi-tech industry. Eventually, her passion in real estate took her onto a different path, moving from an income earner to a wealth builder. During the four years she lived in Paris, Yulin founded Project M: Mind & Money, a coaching service helping women gain financial knowledge, confidence and independence. Through her experiences, Yulin witnessed many women facing financial difficulties, especially during major life transitions, such as career change, divorces and death. She is on a mission to empower women and help raise a new generation of financially savvy children. Can I Afford to Retire Comfortably in France or Anywhere Abroad?